Australia should reconsider what it means by energy diplomacy at a time of transformation in energy markets, renewables and climate change. Australia’s energy policy has been historically reliant upon securing fossil fuels and export markets. However, Australia can use the G20 in a number of ways: to strengthen existing multilateral institutions like the International Energy Agency; to improve coordination between bodies such as the Organization of the Petroleum Exporting Countries (OPEC) and the International Renewable Energy Agency (IRENA); and to coordinate national energy policies, as has occurred with finance. Australia has an interest in the G20 succeeding and in emerging countries becoming responsible stakeholders in the international system. competing interests can be managed. Australia can play a constructive role within the G20 to reduce economic conflict, including between China and the US. Christian Downie is an Australian Research Council DECRA Fellow in the School of Regulation and Global Governance at The Australian National University. He is one of the winners of the AIIA’s Early Career Research Impact Award for 2018. He has also published a recent article, “Australian Energy Diplomacy” in the Australian Journal of International Affairs. Video and editing by Tessie Sun. 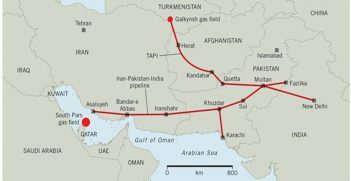 The long-awaited gas pipeline connecting the energy-rich Central Asia with South Asia is finally underway. 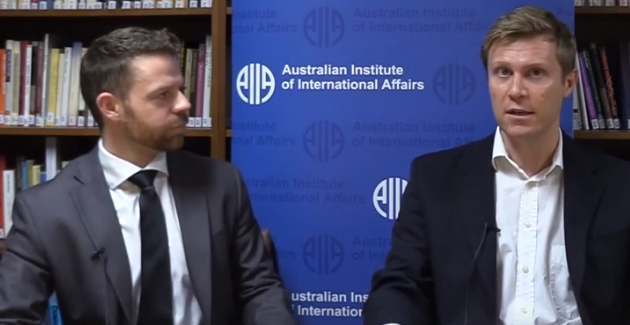 What role can Australia play? 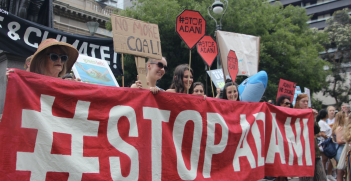 Australian resistance to Adani's Carmichael Mine project may have a lasting impact on Australia-India relations. 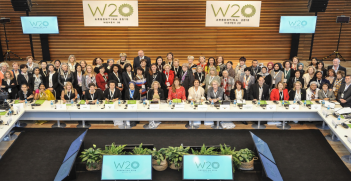 The G20’s W20 is a transnational network that brings together female leaders to help increase women’s participation in their economies and societies.